Return to the immersive, action-packed world of Warcross in this thrilling sequel from #1 New York Times bestselling author Marie LuEmika Chen barely made it out of the Warcross Championships alive. Now that she knows the truth behind Hideo's new NeuroLink algorithm, she can no longer trust the one person she's always looked up to, who she once thought was on her side. Determined to put a stop to Hideo's grim plans, Emika and the Phoenix Riders band together, only to find a new threat lurking on the neon-lit streets of Tokyo. Someone's put a bounty on Emika's head, and her sole chance for survival lies with Zero and the Blackcoats, his ruthless crew. But Emika soon learns that Zero isn't all that he seems--and his protection comes at a price. 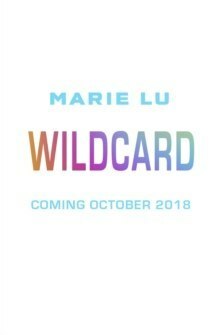 Caught in a web of betrayal, with the future of free will at risk, just how far will Emika go to take down the man she loves?In this explosive sequel to the New York Times bestselling Warcross, Marie Lu delivers an addictive finale that will hold you captive till the very last page.